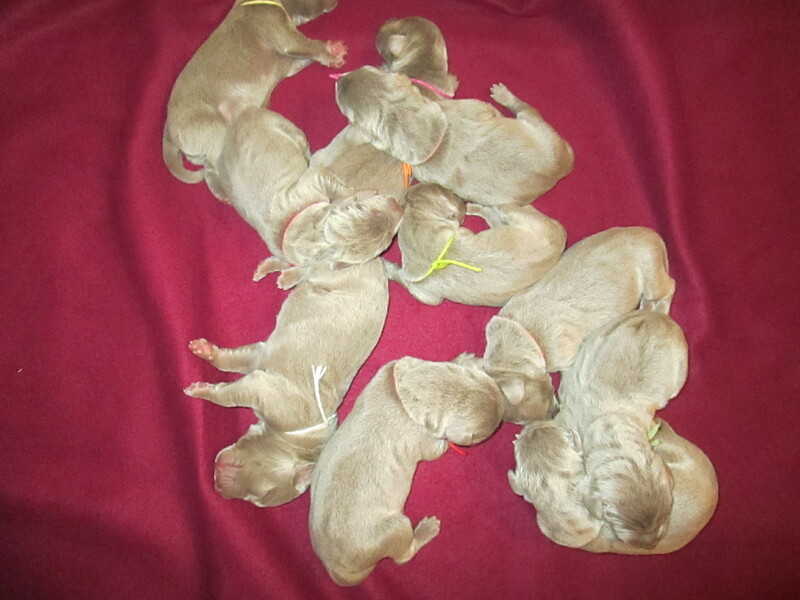 10 AKC Weimaraner puppies born May 31st, 2014 out of Ariat (Gunnar X Piper) and sired by Stewie (GCh. Camelot's Knockin' On Heaven's Door BROM). All silver gray and parents are super sweet.